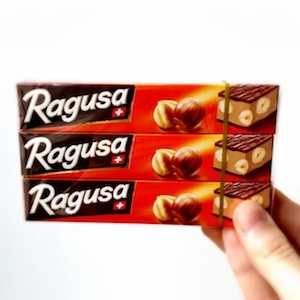 The Ragusa Chocolate is one of the big classics of Swiss Chocolate. Who doesn't miss its unique taste? Get the 3 sticks of each 50 grams (in total 150 grams).